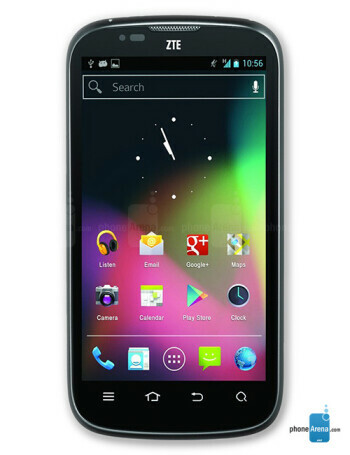 ZTE Grand X – powered by a dual-core Tegra 2 chip by NVIDIA, it is an Android mid-range device tailored for the mainstream market. What is interesting about the ZTE Mimosa X is that it uses an NVIDIA Icera 450 baseband modem, which resides alongside a dual-core NVIDIA Tegra 2 chip. This is actually the first time we see Icera hardware in a smartphone since the company was acquired by NVIDIA back in mid-2011. The Icera 450 is capable of reaching 21Mbps peak download speeds and features IceClear interference cancellation technology that promises more reliable data transmission. Going further down its specs sheet, the ZTE Mimosa X packs a 4.3-inch display with qHD resolution. There is a 5-megapixel main camera on its back, a front-facing shooter for video chats, and the 4 gigabytes of on-board storage can be expanded with a microSD card of up to 32GB. We also see support for Dolby sound, DLNA, dual microphones, and a built-in gyroscope. In terms of software, Android 4.0 Ice Cream Sandwich comes out of the box.